Music-Streaming Services Hunt For Paying Customers Services like Pandora and Spotify have been trying to win over two types of customers: younger people who don't buy music at all and older people who still like physical albums. But it's been difficult to lure customers willing to pay for music they won't own or that they can find for free online. 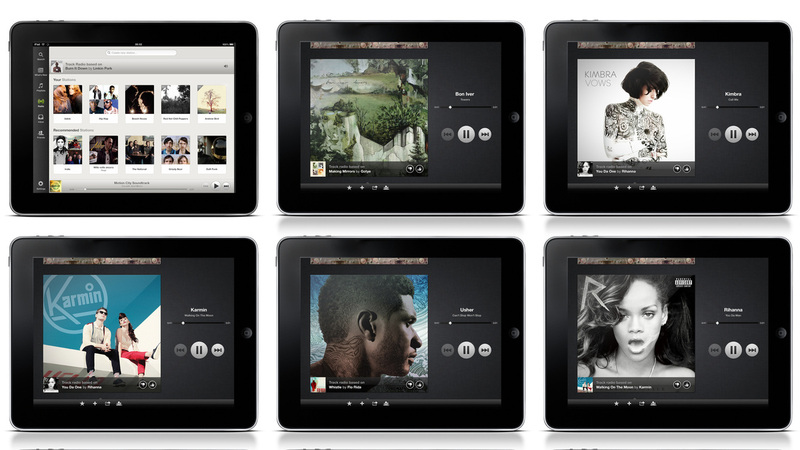 An image provided by Spotify shows music artwork displayed on its mobile app. Spotify began offering a free radio service for mobile devices in the U.S. in June. Before that, customers had to pay $10 per month to use its mobile app.